Our Indian tribal tour now moves towards central India to Saharia tribes of India. These Indian tribes are very enthusiastic as far as their culture and traditions are concerned. 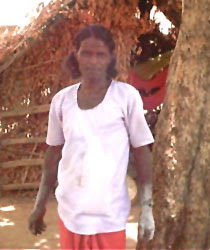 If you wish to explore Saharia tribe then you are expected to visit the state of Madhya Pradesh. These tribes of India are also found in the hills of Ganjam district of Southern Orissa, Andhra Pradesh,Assam, West Bengal and Bihar. Munda language which is part of Austro Asiatic language family is spoken by these Indian tribes. Labels: indian tribal tour, indian tribes, Saharia tribe, saharia tribes of india, tribes of india.